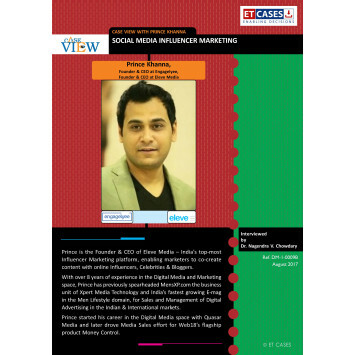 Prince is the Founder & CEO of Eleve Media – India’s top-most Influencer Marketing platform, enabling marketers to co-create content with online Influencers, Celebrities & Bloggers. 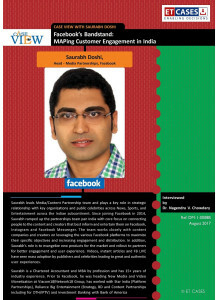 With over 8 years of experience in the Digital Media and Marketing space, Prince has previously spearheaded MensXP.com the business unit of Xpert Media Technology and India’s fastest growing E-mag in the Men Lifestyle domain, for Sales and Management of Digital Advertising in the Indian & International markets. Prince started his career in the Digital Media space with Quasar Media and later drove Media Sales effort for Web18’s flagship product Money Control.